Synopsis: A headstrong young teacher at a private school in 1930s Edinburgh ignores the curriculum and influences her impressionable 12-year-old charges with her over-romanticized world view. Quotables: MISS JEAN BRODIE: Indeed. For those who like that sort of thing, that is the sort of thing they like. Did You Know? 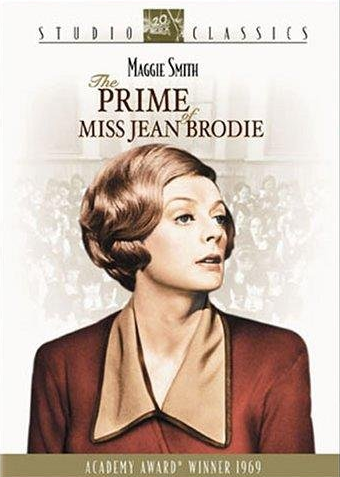 The film was re-released in April 1970, following Maggie Smith’s Oscar win, bringing the studio an additional $1.9 million. Dame Maggie Smith is an electrifying force to be reckoned with. She has such a cunning and charismatic presence as unrivaled by anyone else in the film. That is not to say that one one else was up-to-snuff, because the entire ensemble was superb. From the cast to the costumes to the screenplay and everything else in between, this film is a masterpiece.